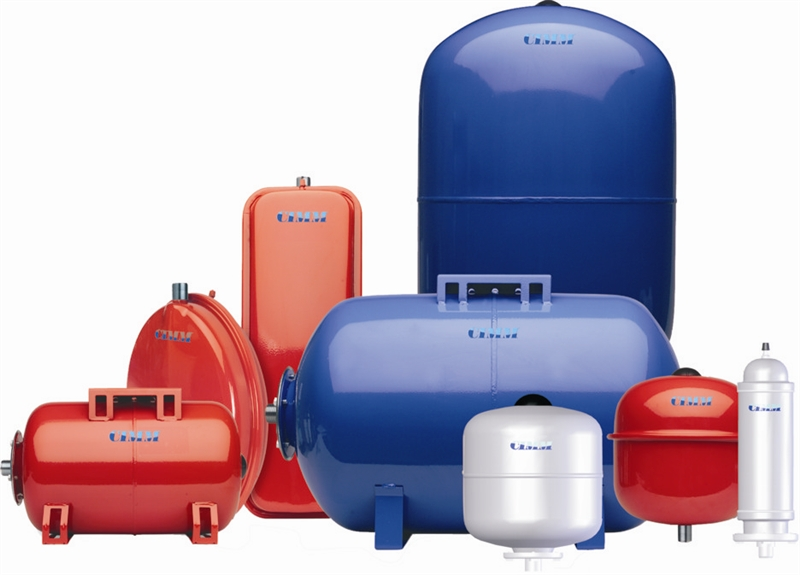 CIMM membrane expansion tanks are CE marked in compliance with the European Directive 97/23/EC (PED), which harmonizes national laws of Member States regarding the pressure equipment and aims to ensure their free circulation throughout Europe. CIMM products have earned the approvals from the most important international certifying bodies. CIMM offers a broad range of fixed membrane expansion tanks, interchangeable membrane surge tanks and pressure tanks designed to satisfy various requirements in both civil and industrial applications. CIMM guarantees the quality of its products by using selected, certified raw materials. The combination of high technology and creativity allows CIMM to offer innovative products in compliance with the strictest requirements required by international regulations. Efficient quality controls ensure the product meets CIMM’s high reliability requirements. The end user can rely in CIMM’s quality everyday. CIMM is committed to innovation and implementation of customer service. Thanks to its policy, CIMM is today an important reference for the HVAC market.